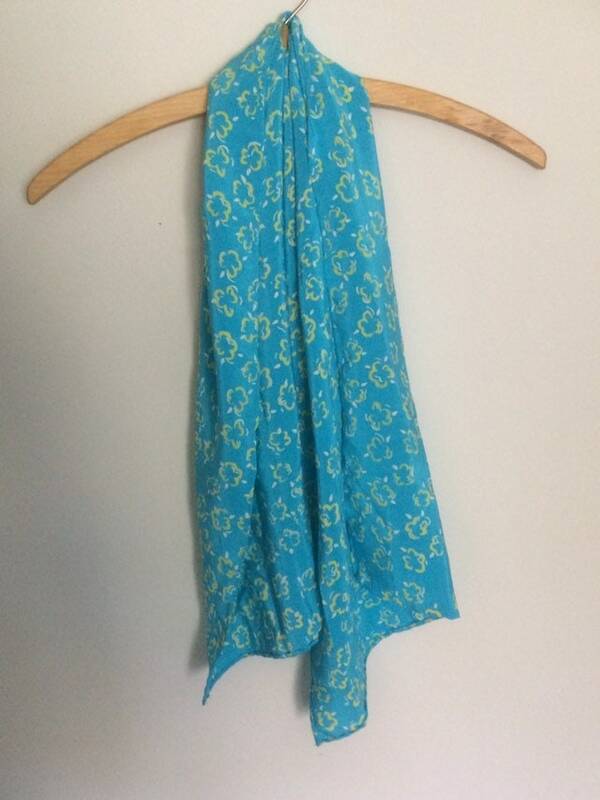 A long silk scarf in a bright turquoise with yellow pattern printed on it. Light weight crepe de chine and measures 14” x 44”. This is. 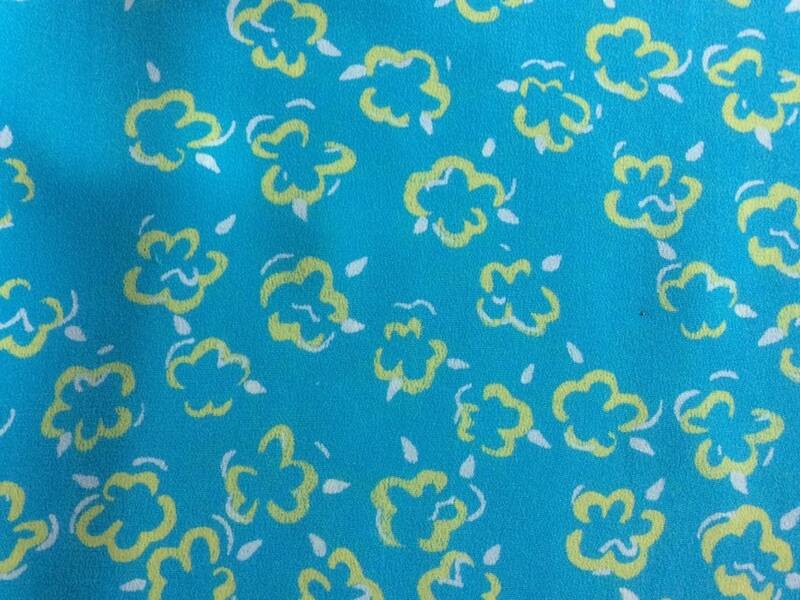 Lovely scarf to go with this seasons popular yellow.